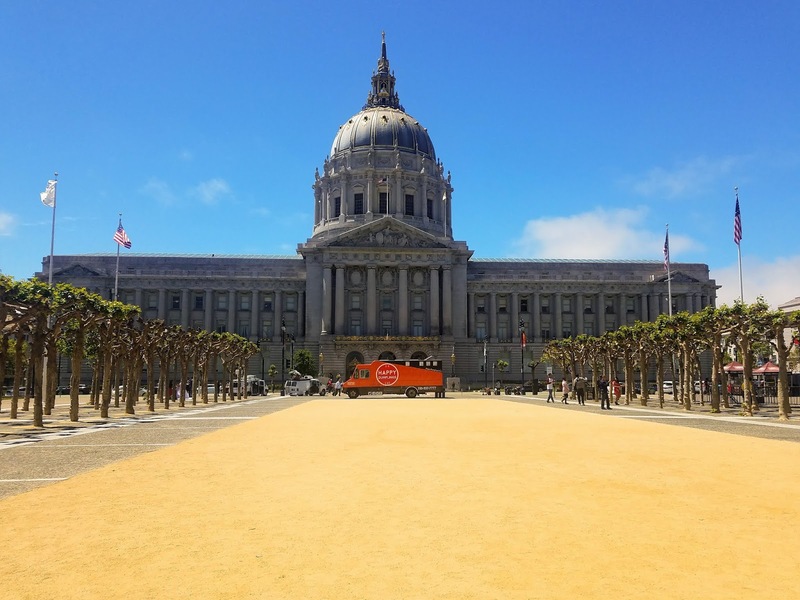 The oldest Chinatown in the US can be found in San Francisco. I am just 15 minutes away from where I work to this historic destination but my busy schedule does not often allow me to make even a quick trip. 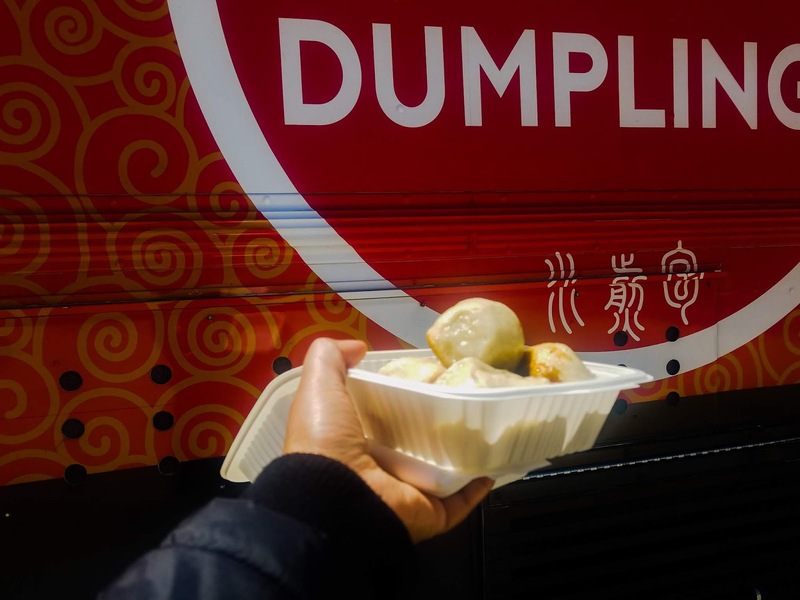 Whenever I crave good dim sum, aside from San Francisco Chinatown, my other options are Oakland Chinatown (I live in North Oakland), or Clement Street which is also known as San Francisco's New Chinatown . However, Clement is much more inconvenient as it is not accessible by the BART train (but readily accessible by taking Muni Bus # 38). 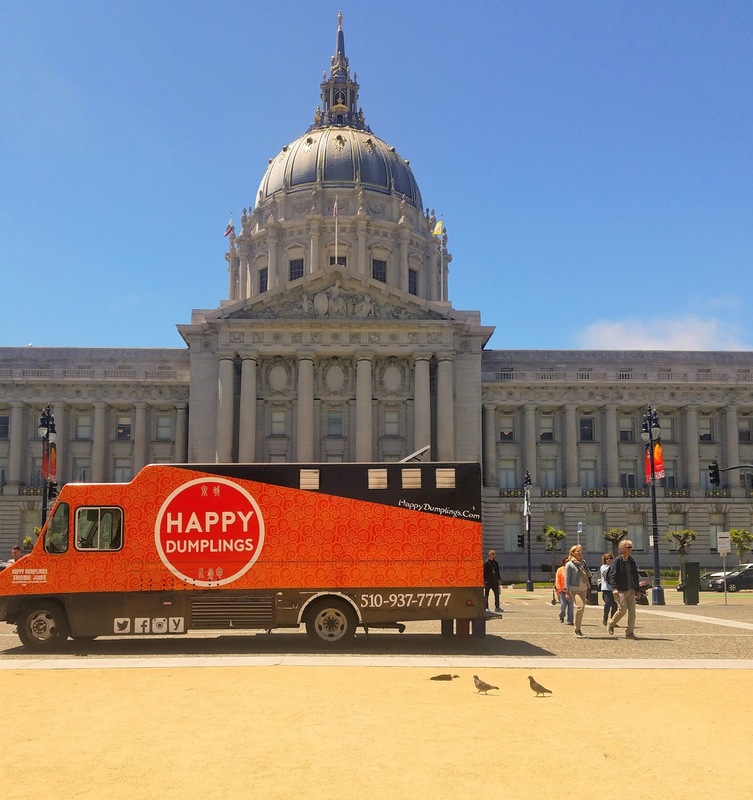 When my co-workers told me that Happy Dumplings Truck was parked in front of City Hall, I made a mad dash as I have been craving dumplings for days . Sure enough, the red truck was parked against the back draft of this magnificent architecture. 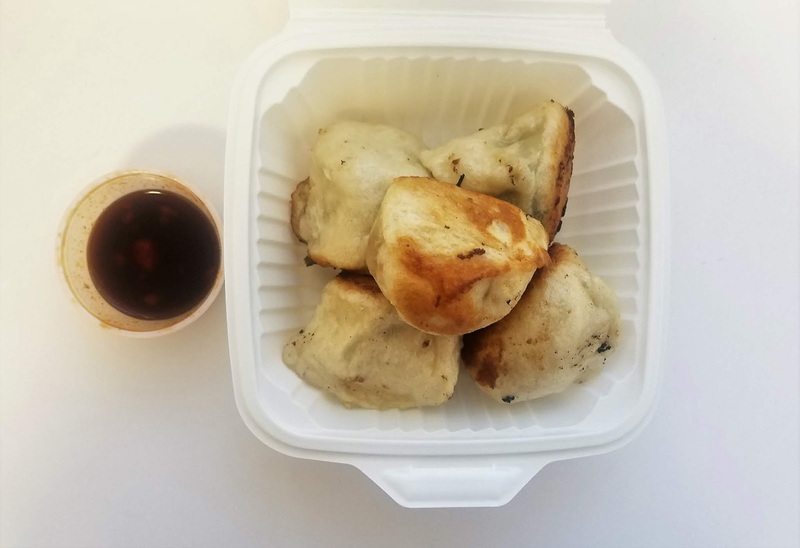 After shamelessly taking Instagram-worthy pictures of my dumplings out in the open, I took them back to my office to take more pictures and finally ate a couple. 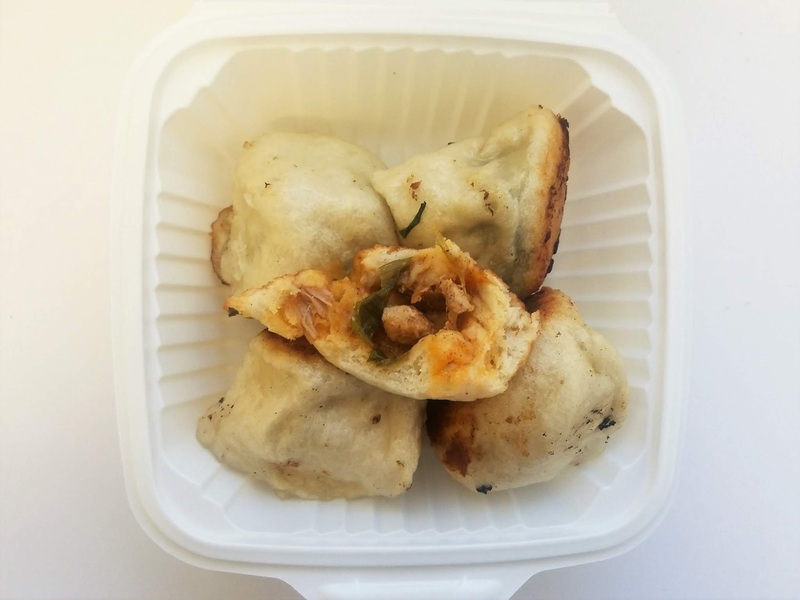 The skin was thick (which I believe is traditional to Shandong style dumplings). The fillings were good. My favorite was the shrimp and egg while my least fave was the pork belly as it was salty. The dumplings were filling. They served as two separate meals and I even forgot about the last one in the fridge. They are "pricier" at $2 a piece compared to going to dim sum eateries where a dumpling will cost you just $1 each. I really do not mind paying for convenience and having my cravings satisfied when I want it! And the dipping sauce and sriracha really hit the spot!